Are you looking for the best home remodeling services in the Brazos Valley? Then the professionals at BCS Remodeling are here for you. We specialize in bath remodels, kitchen remodeling, home remodels, outdoor kitchens, concrete staining, and drywall repair. As your professional remodeling contractors and neighbors, we are dedicated to taking care of all of your home remodeler needs. From small to large projects, we are committed to serving you and providing the best customer services there is to offer. We strive to go above and beyond when it comes to your remodeler project. Providing you with outstanding services is a top priority. We are your College Station remodeler professionals. We are dedicated to providing you with elegant home remodeling services. Our contractors have years of experience when it comes to working on remodeling jobs, and it shows in the quality of their work. We implement the best kitchen remodel ideas and the best bathroom remodel ideas. When you need a professional home remodeler, call us. We are dedicated to the needs of our valued customers. We strive to meet any and all of your remodeling needs. Our remodeling contractors are dedicated to providing you with outstanding remodeling services. We put our valued customers first. At Remodeling BCS, we offer an array of services. From drywall repair to new construction. We can do concrete staining, outdoor kitchens, home remodels, kitchen remodeling, small bath remodels, and more. Our team of professional contractors works to have your remodeling needs covered. We are here to help you achieve your dream home vision. Our remodeling services are professional, reliable, and effective at all times. We are dedicated to providing you with the utmost best when it comes to customer service and remodeling contractor services. A top priority for many homeowners is to have a bathroom that is a place of peace and soothing comfort. Whether you are wanting to add dream features such as a Jacuzzi, rain shower head, or simply updating to eco-friendly options, Remodeling BCS can help you build your dream bathroom. We also offer bathroom accessibility remodeling options, such as grab bars and roll-in showers. As your local bathroom remodeler, we are dedicated to fulfilling the needs of our valued customers. We understand that even small bathroom ideas can make a world of difference after a long day. Any excuse for a soak in the tub is a good one. A kitchen is a place that friends and family gravitate towards to gather. A kitchen is a home to dinners, homework, celebration, and more. Much of the sharing of life extends from this very important space in your home. Our personal homes live and breath from the love and friendships shared in our very own kitchens. We are dedicated to bringing the vision of your kitchen to life. 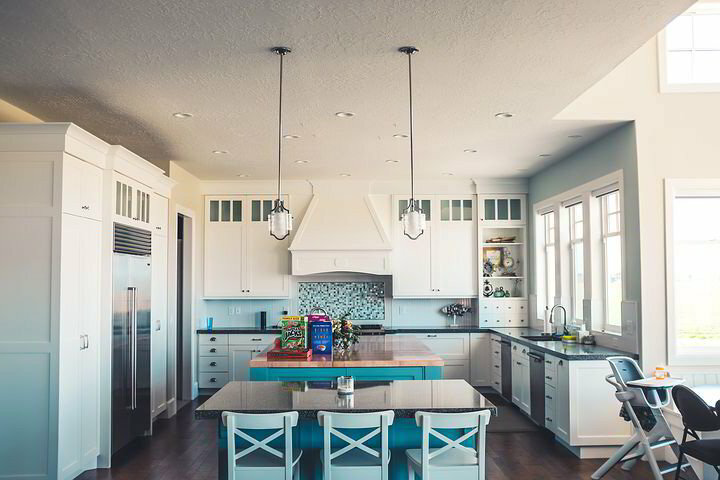 Whether you’re adding, removing, changing, or resurfacing, you can be sure that Remodeling BCS brings you the professional touch you need to have the kitchen of your dreams. 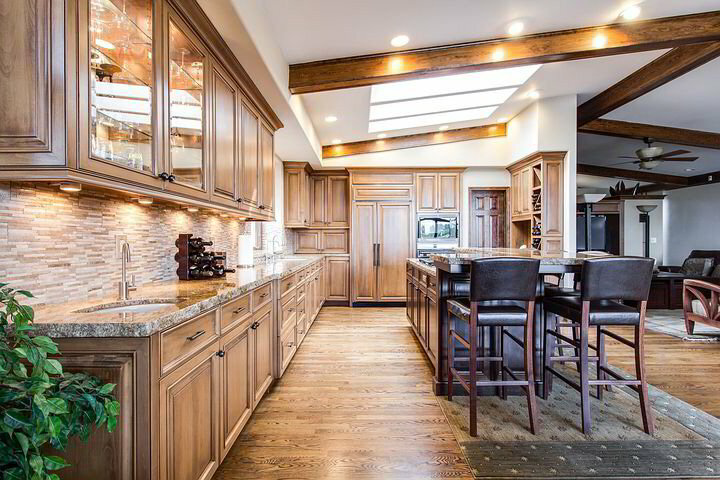 If you’re thinking of remodeling your kitchen, then Remodeling BCS has got you covered. Remodeling your home doesn't have to be difficult. It can honestly be quite enjoyable if you have the right home remodeler working on your project. When you want the professional touch that’s going to not only make the addition look amazing, but also stand the test of time, then choosing Remodeling BCS is the first in a long line of good decisions. We bring you the professional contractors you need to make your visions come to life. If you are looking for home addition contractors, re-purposing rooms, extensions, or any other remodeling ideas, give us a call. For those who like to entertain al fresco, an outdoor kitchen is a beautiful way to bring people together. We provide clients with beautiful outdoor kitchens. 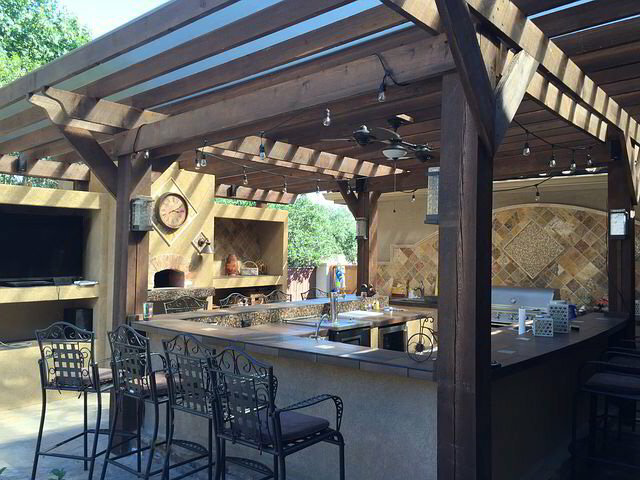 We can do simple pergola installation to large full outdoor kitchen projects. Our team of contractors understands that you can enjoy life by spending time with the ones you love. Sometimes life is most fun when you sare it in your outdoor space. At Remodeling BCS we are proud to deliver professional outdoor kitchen contractor services in the Brazos Valley. Concrete staining can add an incredibly unique beauty to your flooring. Our concrete stain contractors do beautiful and amazing work when it comes to your stained concrete project. We are prepared to help you take on your indoor or exterior concrete stain project. Our goal is to satisfy the needs of local valued customers. When it comes to concrete staining, contact Remodeling BCS. Our concrete staining contractors are standing by to help you with your outdoor project. Fun fact: gypsum board is many times mistakenly called Sheetrock. The later is a brand name of the material. To turn the page on your home's new chapter, we invite you to give us a call today. We look forward to speaking with you to answer quick inquiries, set up free consultations, or to discuss your remodeling vision further and getting you the information you need so that we can make your home remodel dream happen for you. At Remodeling BCS our remodeling contractors will provide you with remodeling services that are professional and budget conscience. Again, we look forward to hearing from you and having the opportunity to bring our renowned workmanship to your home. “We purchased a fixer upper home and the first things we wanted was to have a bathroom remodeler update the master bathroom. It turned out AMAZING! I highly recommend Remodeling BCS."